A new law review article published by a professor at Case Western University Law School highlights just how terrible the courts can be when it comes to relying on forensic science in criminal cases. Written by a previous member of the now-disbanded National Commission on Forensic Science, it focuses on how some of the most commonly used methods in forensic science—such as bite-mark comparisons—vary in scientific credibility and in some instances, quite literally have zero probative value. The article focuses on the death of scientific research in each of these fields, and yet, the courts have failed to keep these fields out of evidence, in spite of a lack of scientific credibility. Several years ago, the FBI admitted that its hair and fiber analysts—analysts that had trained countless others all over the country—had overstated the certainty of related claims in every case in which they testified. Just take, for example, the case of Williamson v. Reynolds: Williamson was five days away from being executed when he obtained habeas relief and was eventually exonerated by DNA evidence. Unfortunately, in his case, although the hair expert may have followed the procedures that all other hair experts follow, the results were completely scientifically unreliable. This is perhaps the only judicial analysis of microscopic hair comparisons, and yet it has basically been ignored by every other court. In fact, ten years later, state Supreme Courts have specifically upheld the admissibility of hair evidence. Ballistics and tool mark analysis face similar credibility issues in that both of these fields are completely subjective: there are no consistent standards, criteria, or error rates that apply. There is simply no way to determine if a particular gun or other object fired a particular bullet or made particular marks in a case. And yet, like hair analysis, most courts continue to allow related testimony in court, in spite of recognizing the problems. The phrase commonly heard in court—a “reasonable degree of scientific certitude”—actually has no scientific meaning whatsoever. And yet, some jurisdictions mandate that an expert possesses it in order to testify, even though it has no scientific meaning and is completely misleading. In fact, the National Commission on Forensic Science outright rejected it. Of all the questionable forensic fields, only bullet-lead composition has been rejected by most courts. Still, the fact that we have had and will have many wrongfully convicted based on these dubious methods highlights the fact that not only has the ‘bad stuff’ been let in, but the courts shouldn’t be the ‘testing grounds’ for these methods in the first place. At The Baez Law Firm, we do not accept what the prosecution presents as forensic science. 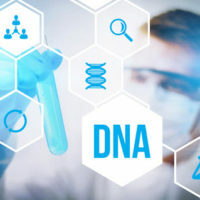 We insist on our own testing, and possess the very best connections to the right experts who can ensure that a judge or jury is barred from receiving misleading scientific testimony. We serve clients in Florida and Massachusetts. Contact us today to find out how we can help you.